James A. Early is a native of Philadelphia, PA. He received a Bachelor of Music from the New England Conservatory of Music and a Masters of Education degree from Northeastern University. While at the Conservatory, James worked with other students to initiate NEC’s first gospel music ensembles. Since then, James founded the New England Gospel Ensemble, which he directs, is Music Director for The Joyful Voices of Inspiration and serves on St. Paul African Methodist Episcopal Church’s music department staff. Mr. Early received the NEC Gospel Music Award in 2000. In 2008 he helped prepare the choir for the annual Gospel Night at the Pops concert at Boston Symphony Hall. Combining music education and travel, James has been the facilitator for gospel music workshops in various countries including Costa Rico, Egypt and Brazil. Employed by the Boston Public Schools as a secondary mathematics educator, James is a member the National Council of Teachers of Mathematics and presents mathematics professional development workshops for educators across the country. 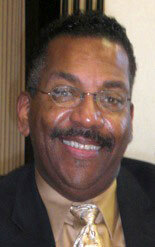 He is also a T3 (Teachers Teaching with Technology) Regional Instructor for Texas Instrumnts. Karen Colbert is a native Rhode Island resident and has sang since the age of nine years old. She began performing as an R&B artist then to Jazz and back to her roots Gospel music. She is currently a member of the Boston Pops chorus, the New England Conservatory's Millennium choir, The New England Gospel Ensemble, and the Harlem Gospel Choir of New York. She has performed before audiences throughout the US and abroad with several recording artist such as Mariah Carey, Will Downing, Richard Smallwood, Jennifer Holiday, BeBe & CeCe Winans and more. Tamika S. Paschall, soprano, was born and raised in Boston MA. As far back as she can remember she has always sang or hummed a tune. Her singing continued throughout school. She sang in the glee clubs at the Charles H. Talyor Elementary school, Frank V. Thompson, and Hyde Park High school and was a member of 'Voices' at Boston College for one year. She joined and also sang for Pleasant Hill Baptist Church from the age of eleven until she left for college. 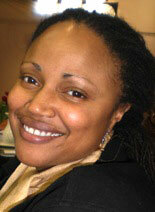 In 1994 Tamika joined New Covenant Christian Center. She started singing with the worship and praise team there and then joined Baystate Gospel Choir until it disbanded in 2000. She has worked for several years at Mount Auburn Hospital where she met Valence Harris and quickly became friends. After a choir member left NEGE, Val asked if Tamika was interested in joining New England Gospel. Since then we have done many things. Singing the Star Spangled Banner for the opening of a Celtics game, appearing on Common Grounds, and singing for Mt Auburn Hospital for Black History month, just to name a few. She can't wait to see where NEGE's journey takes them next. Born in London, England, Heather moved to Boston as a child and started singing in her early teen years in church. She has since sung in many community and church choirs, and has performed throughout the United States, Canada and Barbados. Heather says her most memorable event was singing at the opening ceremony of Boston’s Fleet Center in an event with notable guests Patti Labelle and James Taylor. 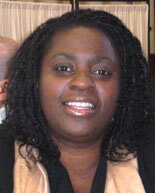 She has been a member of The New England Gospel England Gospel Ensemble since 1999. 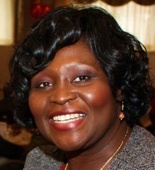 Bithiah Carter is an alto in New England Gospel Ensemble. 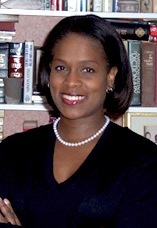 She is a Senior Director at the United Way of Massachusetts Bay and Merrimack Valley (UWMBMV). Her area of concentration there is Increasing Youth Opportunity, where she leads program development for UWMBMV's Today's Girls...Tomorrow's Leaders initiative. Before entering the non-profit world, Bithiah worked for more than 10 years in the financial service industry in New York City and Boston. Born on the beautiful island of Barbados, Val was raised in Cambridge, MA where she remembers fondly her singing start at age 12. Val is a longtime member of St. Paul’s AME Church in Cambridge, where she has sung on almost every choir in the church and is still a faithful member of their Voices of Women Victorious group. She sang in several choirs all through her college years, and after graduation went on to continue her singing passion. In addition to being a member of New England Gospel Ensemble since 1999, other community choirs of more recent years to note are: Boston Pops Gospel Choir, NEC Millennium Choir, and As One. Val has traveled extensively throughout the U.S., Canada, Bermuda, and South Africa pursuing her love of singing. In her social life, Val is happily married to Aidan Alleyne. She is a member of Delta Sigma Theta Sorority Inc., and Regal Women of Purpose. Karen Tobin-Guild holds a degree in Jazz Studies from the New England conservatory of Music. She is an active free lance solo artist in the New England area, having appeared extensively throughout the United States with artists such as Arturo Sandoval, Richard Smallwood, and Donald Lawrence. In addition to the United States, Karen has appeared in Russia, Armenia, Switzerland, Ireland, Belgium and South Africa. She has sung for the United Nations in Geneva Switzerland as well as for the World Conference Against Racism in Durban, South Africa. Some of her more recent performances were with the Harlem Gospel Choir, touring throughout Canada, Australia and Japan. While a member of the New England Gospel Ensemble, Karen has also performed with numerous other gospel groups locally, which include the Boston Community Choir, PRAISE, the Boston Pops Gospel Choir, The New the Generation 2000 Choir, and the Millennium Gospel Choir. Karen is the National Musical Director of the One Human Family Workshops Inc, which has several chapters throughout the United States. A native of Boston, MA, Eddie remembers singing as far back as the tender age of 3, and remembers his first big singing break came at a wedding reception at his church in Roxbury. Over the years, Eddie has been in several groups, The Gospel Supreme, Bethel Pentecostal Youth Choir, Boston Community Choir, Millennium Choir, Re-Union Choir, and has now been a part of New England Gospel Ensemble since about 2002. In addition to his many travels and performances throughout the United States, Eddie says one of the highlights of his singing career was performing at Boston Symphony Hall for the Rev. Dr. Martin Luther King’s ‘A Gift of Song’ program in 2004. 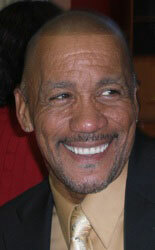 Norris Welch, tenor, was born in Ft. Lauderdale, Florida, and moved to Boston in 1964. As the old saying goes, Norris "has been singing all his life", remembering his early years in elementary school where he sang the lead in all of the school holiday plays. 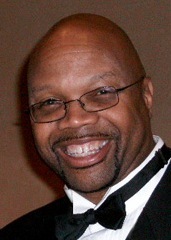 After his move to Boston, Norris became a member of the Union United Methodist Church in 1970, began in the youth choir, and has sung in almost every choir at the church. In his professional life, he worked for Verizon for 25 years. His goal after retirement is to use his learned skills of working with choirs and singers to become an entrepreneur in the many facets of organizational planning. He is currently the business manager of, and singer in The Boston Community Choir, and The New England Gospel Ensemble, and The Joyful Voices of Inspiration, and has performed throughout the U.S., and abroad with many current recording artists.